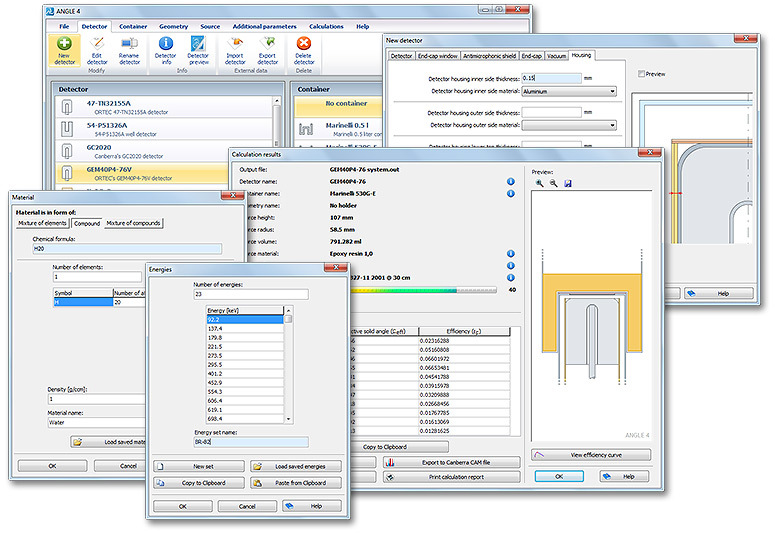 Angle 4 is the latest version of the long existing and well known software for semiconductor detector gamma-efficiency calculations, now also supporting scintillation ones. Angle allows for accurate determination of the activities of gamma-spectroscopic samples for which no “replicate” standard exists, in terms of geometry and matrix. Semi-empirical “efficiency transfer” (ET) approach is used, based on the effective solid angle (Ω) calculations. Angle 4 combines advantages of both absolute (no experimental evidence, e.g. Monte Carlo calculations only) and relative (fully experimental, calibrated-source-based) methods – minimizing potential for systematic errors in the former and reducing practical limitations of the latter. 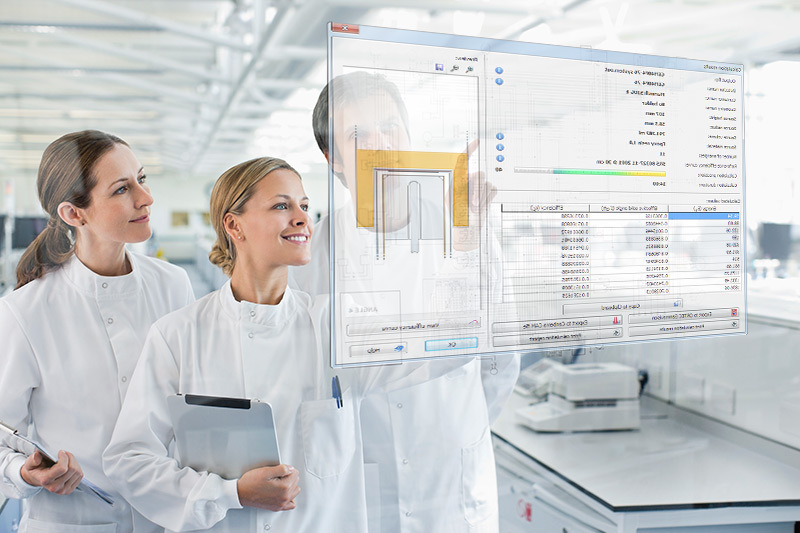 Angle 4 is a result of 25 years of development, practical experience in numerous gamma-spectrometry laboratories worldwide and constructive users’ feedback. For the list of some prominent Angle users click here. gamma energy range of interest, etc. Work on further Angle improvements and upgrading continues – towards meeting spectrometrists’ needs and requirements.